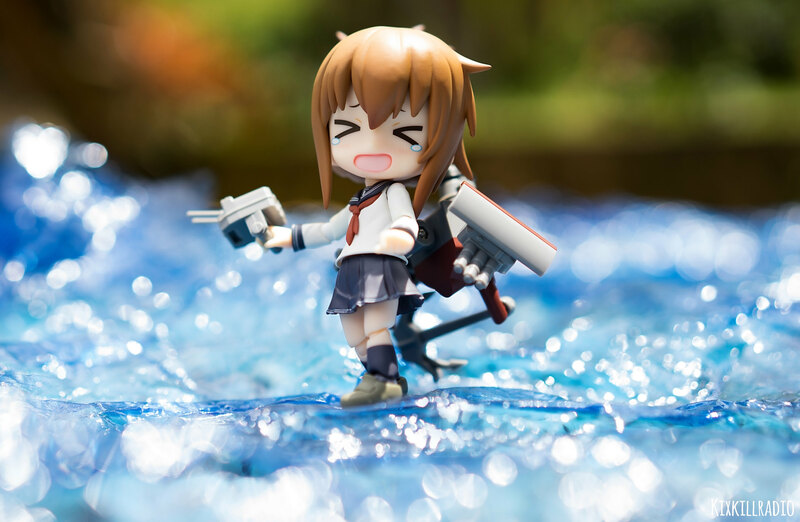 Today’s figure photography spotlight is from the popular web browser game series Kantai Collection Cu-poche Inazuma by Kotobukiya. 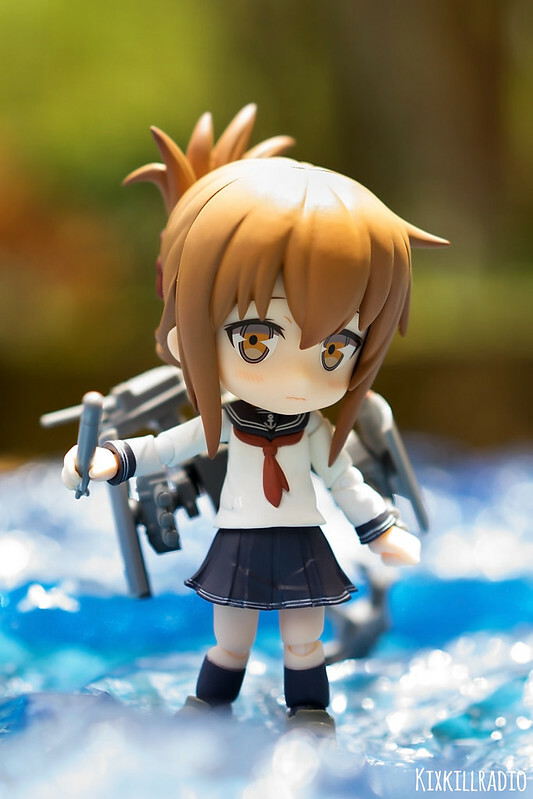 It was great to know that Kotobukiya has decided to make a Cu-poche version of these group of Kancolle girls including Inazuma. I didn’t play the game but I have watched the anime. 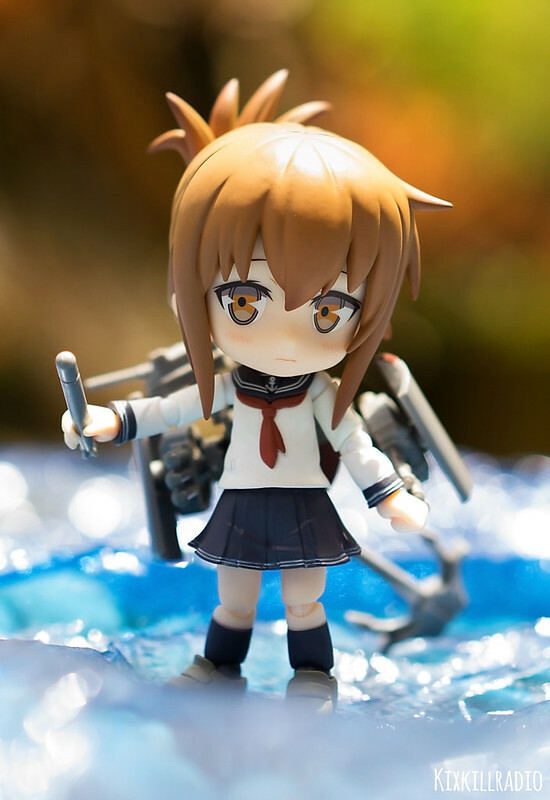 Watching all the Kancolle girls, I find Inazuma and the rest of her group really adorable. They are the little ones. 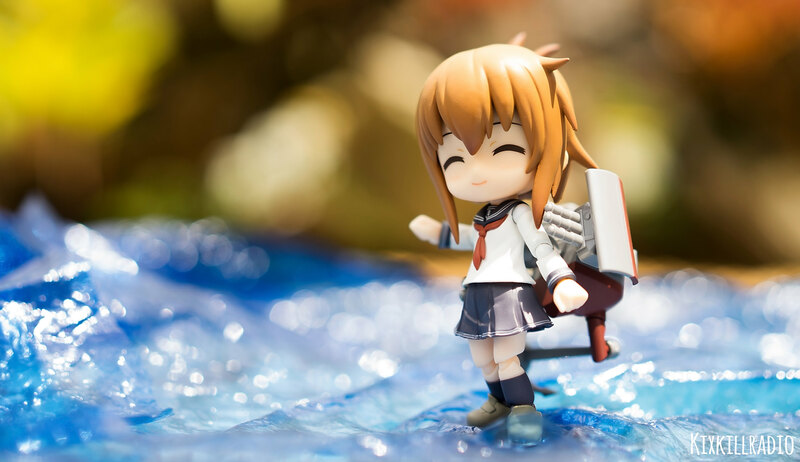 I can’t wait to see them all in Cu-poche form. 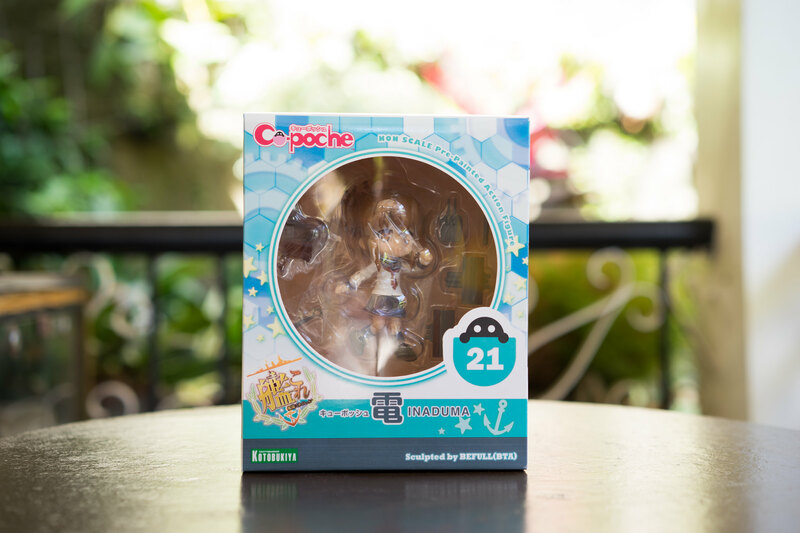 For those who are new to Cu-poche figures. 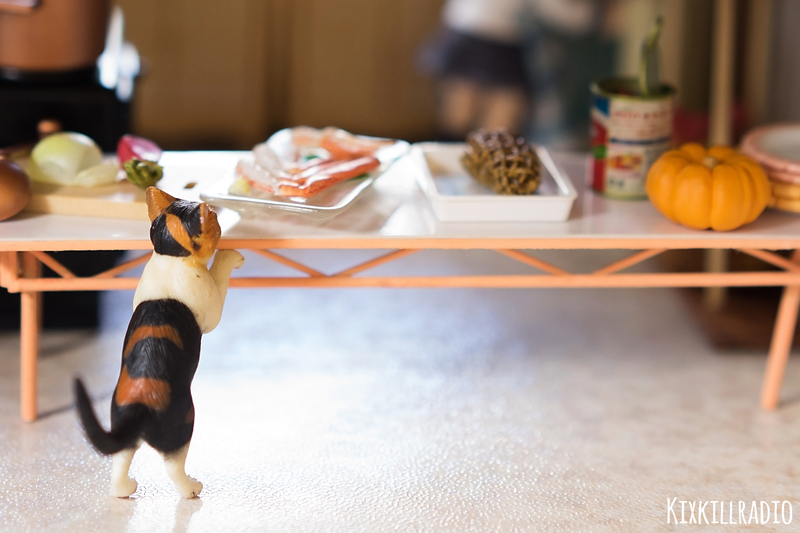 These are articulated chibis that will let you pose them in all cutest way possible and that’s what I’m gonna show you today. Let’s take a closer look. 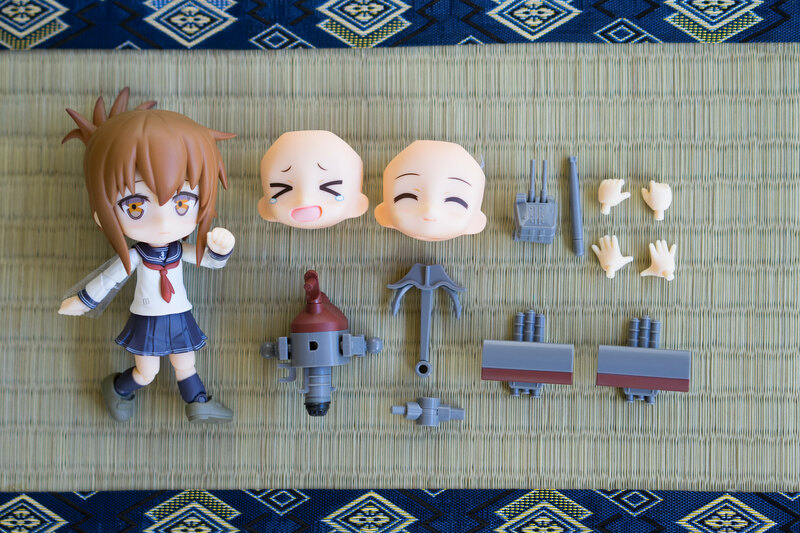 The package includes Inazuma in her sailor uniform, 3 face plates (troubled, smiling, crying face) and her weapons. 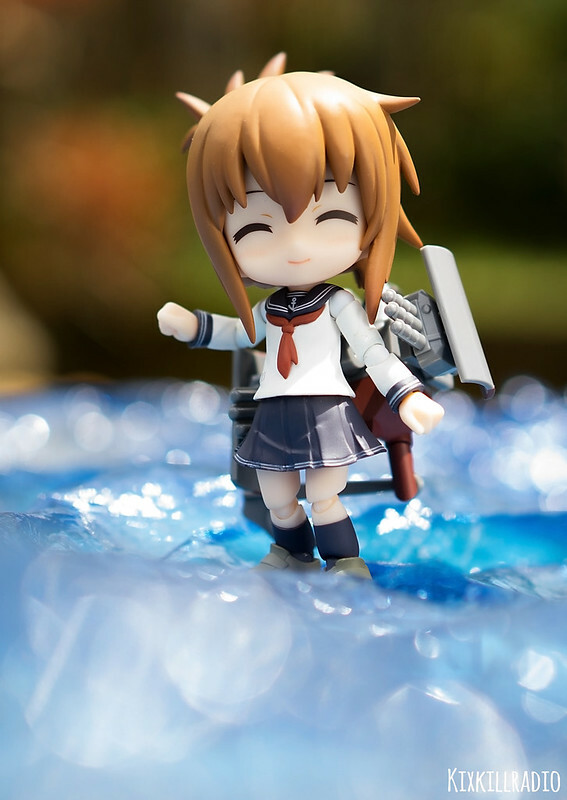 Of course, optional hand parts and magnetic stand base are also included. 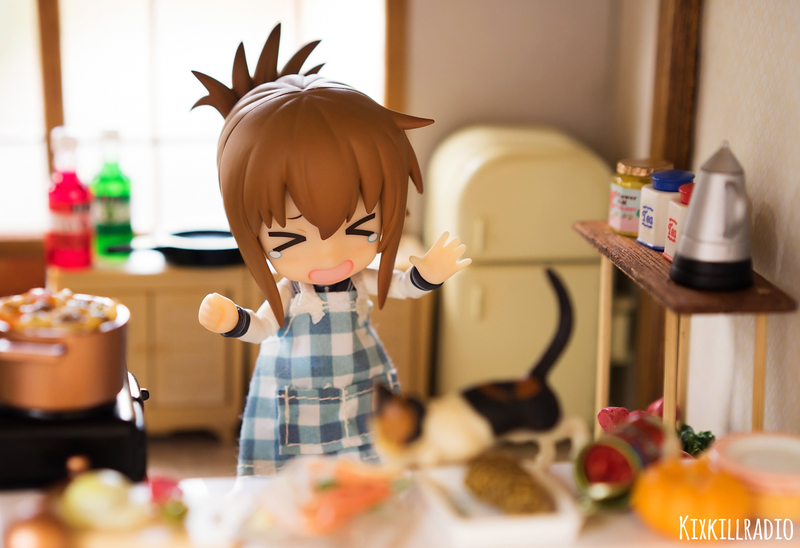 I’m Inazuma. Pleased to meet you. 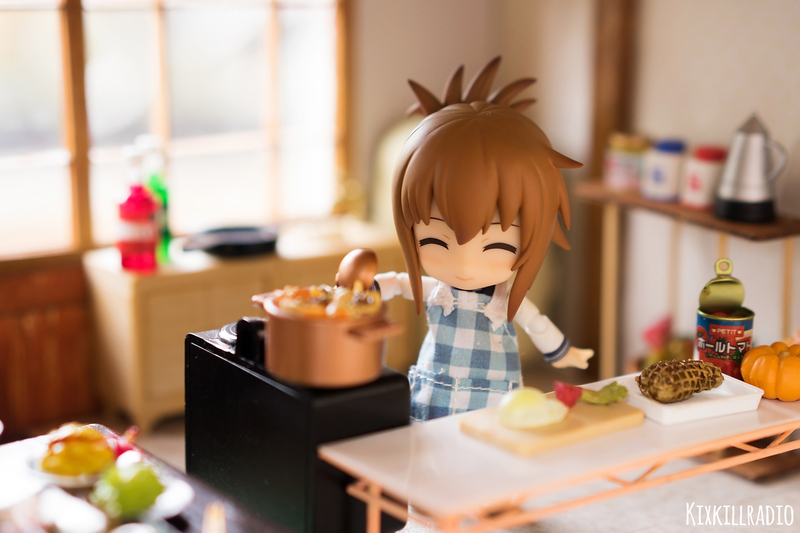 I really like time of peace like this too, when nothing is happening..
Inazuma starts to make some curry! 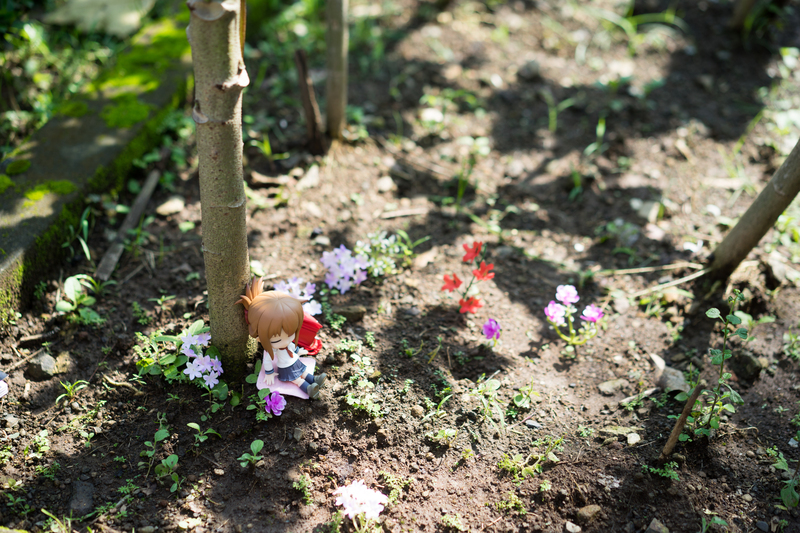 I went to our vegetable garden and set up a little forest world for her. 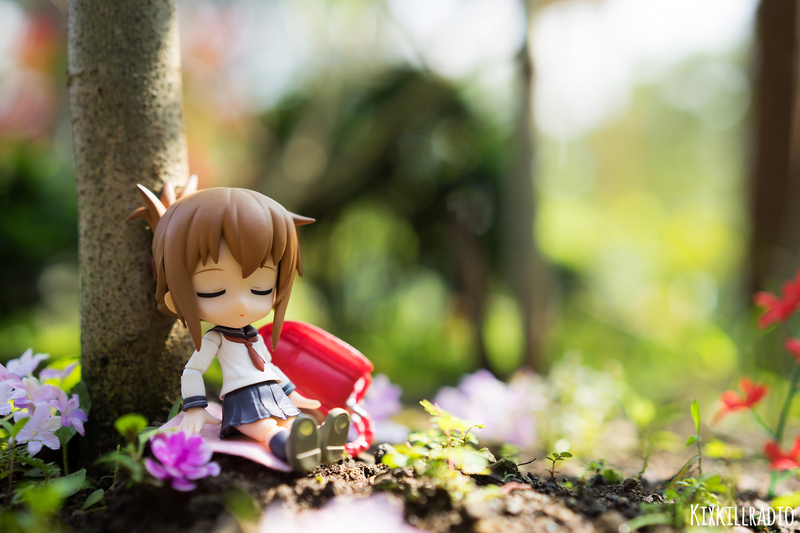 I used plastic (artificial) flowers and scattered around her. Very nice article and those photos are freaking amazing! 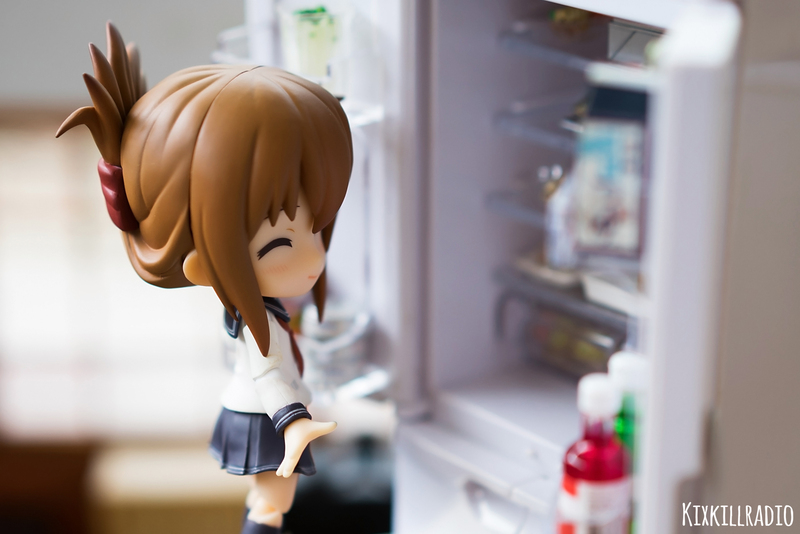 Awww that is an especially cute Cu poche, her hairstyle is already so cute. 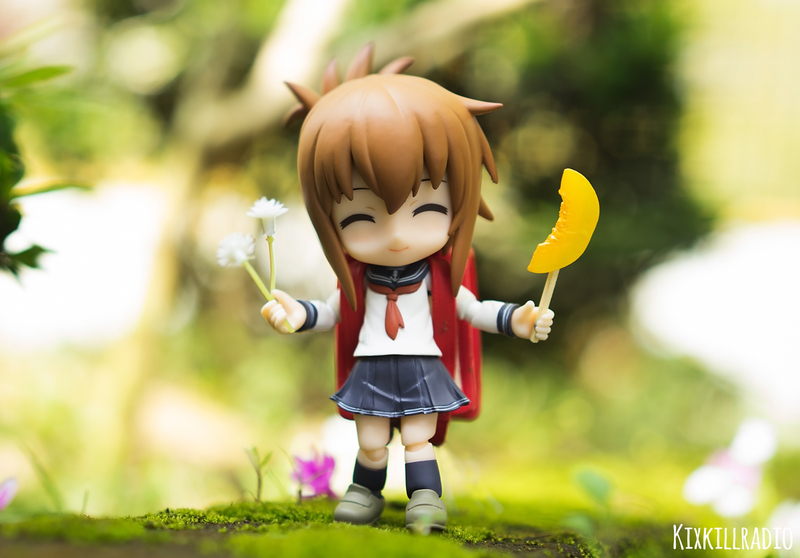 I remember the funny episode where she and her friends did their daily adventure (*＾▽＾)／. 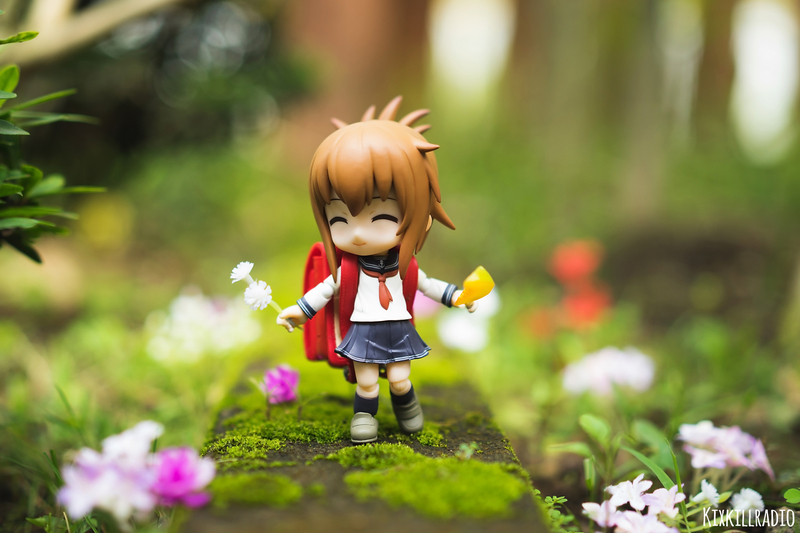 I really like the details of her school uniform and these tiny shoes are great. 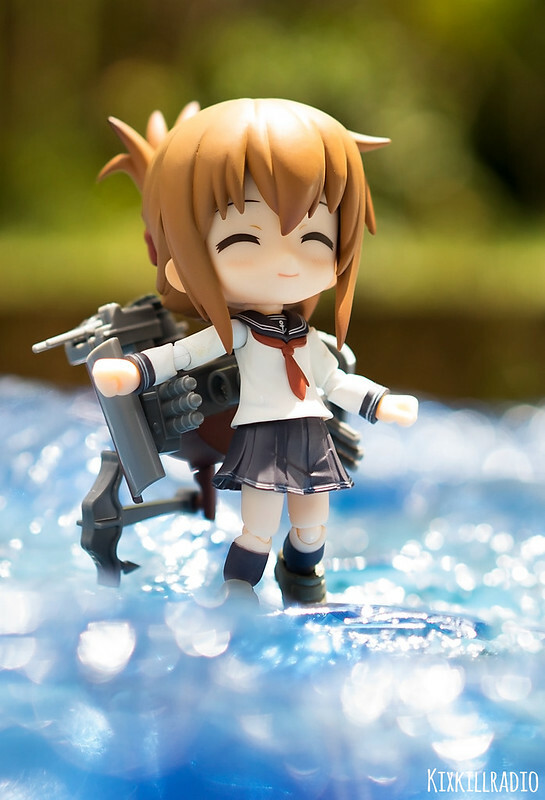 hawawawawah Inazuma’s so cute! 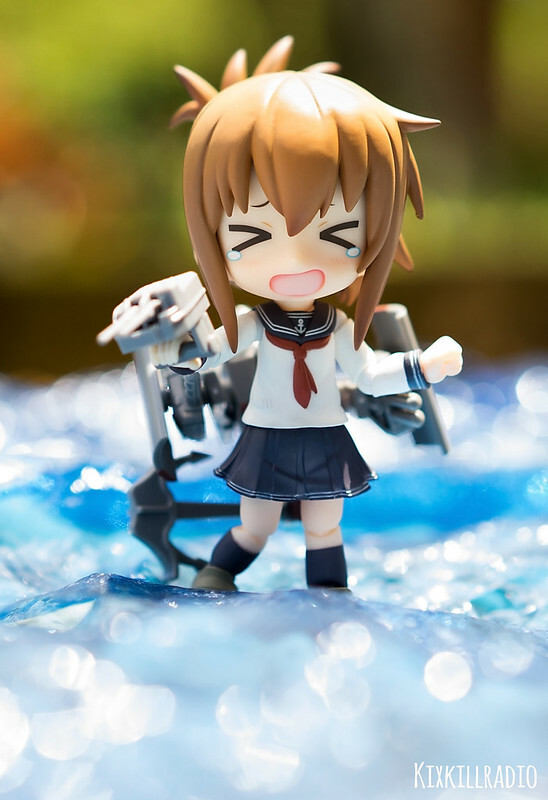 I really enjoyed the 6th Destroyer Division’s episode in the anime. 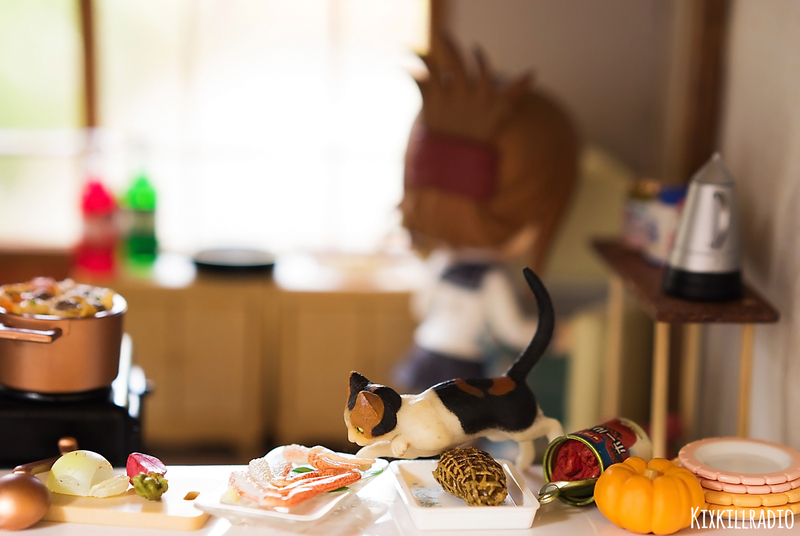 They made good curry! 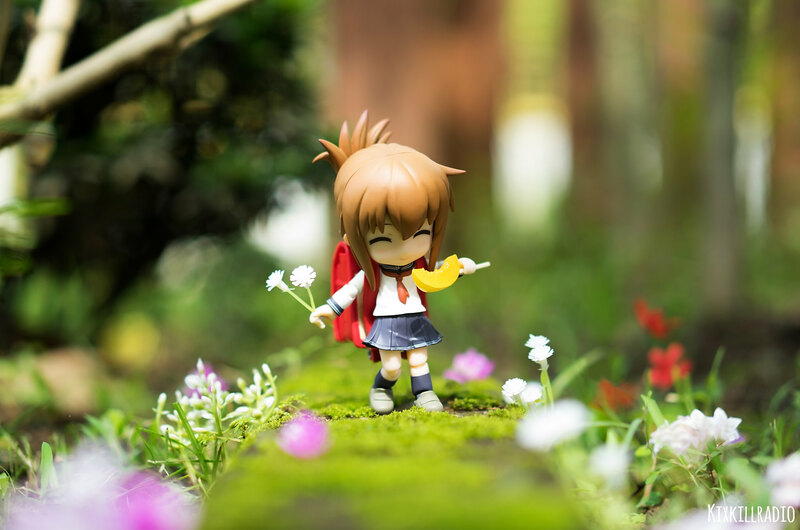 Nanodesu! I like that episode too. 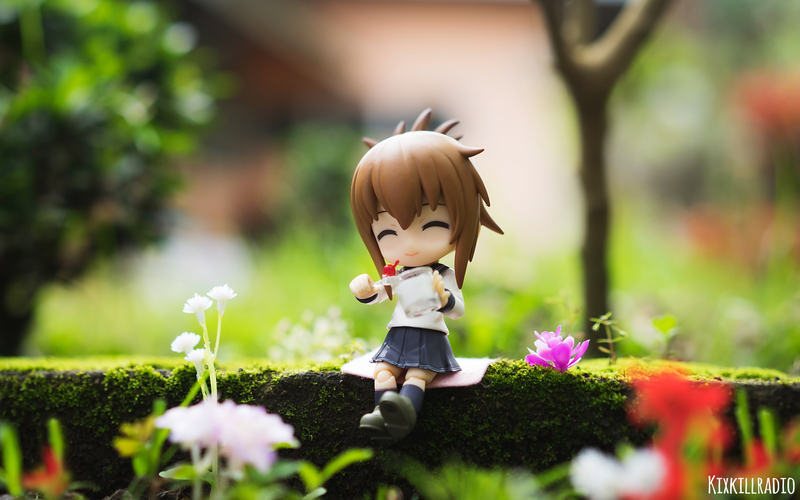 They are so cute together and the youngest among the characters in the anime. Love them!